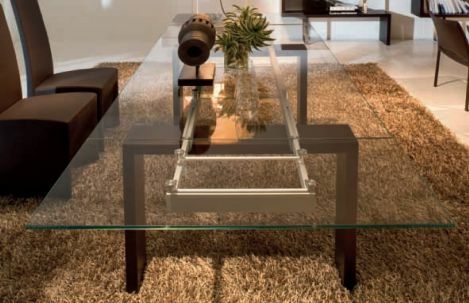 Extension dining table is available in a variety of finishes. Extension dining table is available in a variety of finishes. Clear or back painted glass top options. Wood, metal or upholstered leather legs. Extension leaf mechanism is beautiful and easy for every user.